Announcing that Kent Vaccaro would be rejoining Momentum Motorsports back in November of 2018, today, Momentum Motorsports is announcing plans to compete in the F3 Americas program. 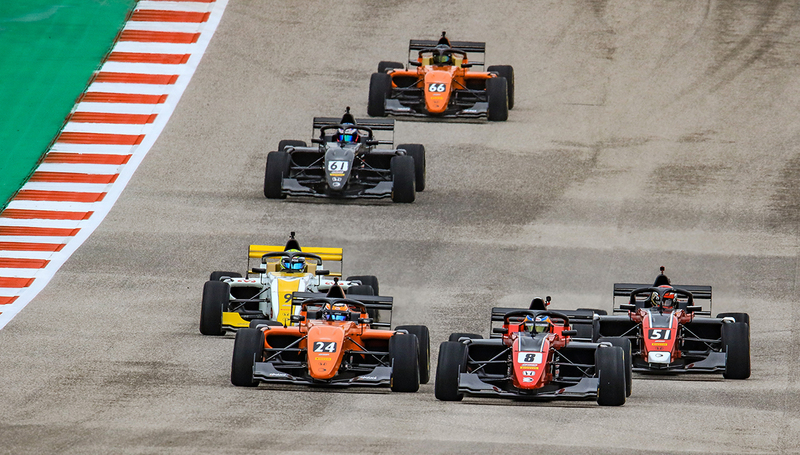 Originally slated to fill one of the F4 United States Championship Powered by Honda machines, Vaccaro will level up to the new Momentum F3 Americas effort as the team looks to run a four car program across both series in 2019. Obtaining their F3 Americas Ligier early this week, team and driver are both anxious and excited to hit the track and fast track their development prior to the season opening event. Set to complete their initial car build, Momentum Motorsports and Kent Vaccaro will hit the track in the coming weeks. For more information on test and/or race opportunities Momentum Motorsports, please contact Phil Picard at phil@philpicard.com or visit the national level race team online at www.MomentumMotorsportsLLC.com or via their social media pages on Facebook, Twitter, and Instagram.